Converse is feeling litigious. The Nike-owned North Andover footwear company filed a lawsuit at U.S. District Court in Boston Monday alleging trademark infringement and unfair business practices against Autonomie Project, a small online retailer from Jamaica Plain that sells “sweatshop-free and eco-friendly footwear, clothing, and accessories.” Converse says that Autonomie’s “Ethletic” range of high- and low-tops share a number of “confusingly similar” characteristics with its “Chuck Taylor All-Star” sneakers, including the same outsole, toe bumper, and stitching. PREVIOUSLY ON ECOUTERRE: Did Skechers Just Rip Off TOMS Shoes With Its “BOBS” Collection? 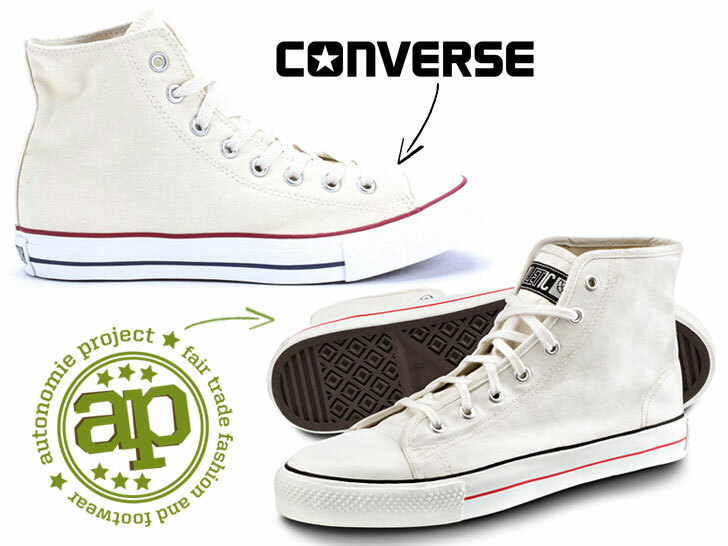 “Autonomie’s use of the Converse Trade Dress and of colorable imitations thereof is likely to cause consumer confusion as to the origin and/or sponsorship/affiliation of the infringing products, at least by creating the false and misleading impression that the infringing products are manufactured by, authorized by, or otherwise associated with Converse,” the lawsuit reads. Converse calls Autonomie’s echoing of its intellectual property and trade dress “intentional, willful, and malicious.” The company goes on to say that it’s entitled to recover Autonomie’s profits, actual damages, and attorney fees. Whether Converse has a case—or even a defendant—remains to be seen. Although the shoes are still listed on Autonomie’s website, many are listed as out of stock. Neither has the company Tweeted or updated its Facebook or blog since late 2012. Ecouterre was unable to find a working number for the company. Rebecca Watson, a salesperson at MooShoes in New York City, which has sold the shoes in the past, told us that the store placed a few orders in the spring but didn’t hear back. “We don’t know if they’ve stopped production,” she added. Converse is feeling litigious. The Nike-owned North Andover footwear company filed a lawsuit at U.S. District Court in Boston Monday alleging trademark infringement and unfair business practices against Autonomie Project, a small online retailer from Jamaica Plain that sells "sweatshop-free and eco-friendly footwear, clothing, and accessories." 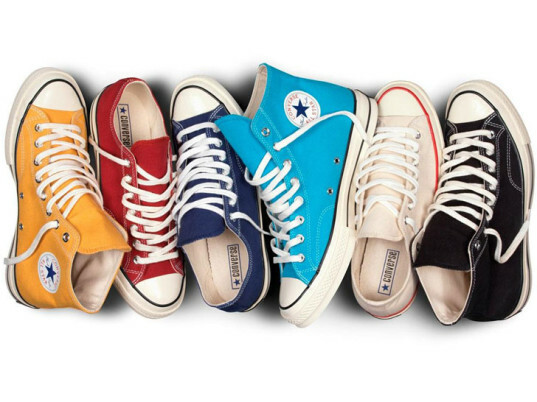 Converse says that Autonomie's "Ethletic" range of high- and low-tops share a number of "confusingly similar" characteristics with its "Chuck Taylor All-Star" sneakers, including the same outsole, toe bumper, and stitching.